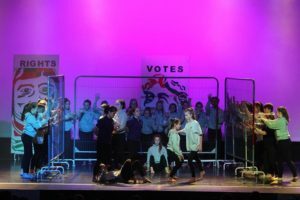 Wyvern students are celebrating their most successful Rock Challenge event ever, achieving third place and winning a fantastic array of Awards for Excellence in Concept, Soundtrack, Performance Skills, Stage Crew, Drama, Costume and Entertainment. 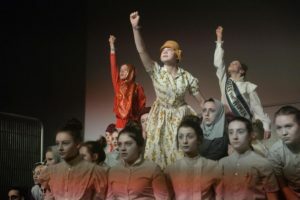 The College’s Dance Prefects chose the theme of ‘Power of Protest’, inspired by iconic photographs of Rosa Parks, Suffragettes, Malala and Tank Man in Tiananmen Square. ‘Still I Rise’ was the title of this year’s piece, which cleverly portrayed people who have stood up for what they believe is right in the face of adversity and ignorance. 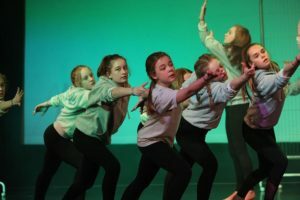 In conjunction with workshops run by Natalie Watson from Wyvern Theatre School, the Prefects choreographed material for the superb final performance in front of a packed audience at The Southampton Guildhall. Forty-one dancers were involved overall, ably supported by the back stage crew and staff.